It was only a few short months ago (time flies, right?!) 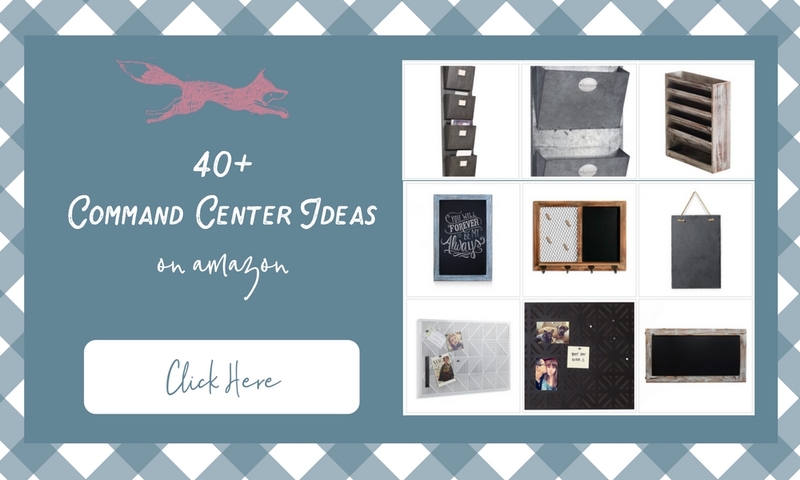 that I shared a list of 40+ Farmhouse Style Command Center products that you can buy from Amazon. 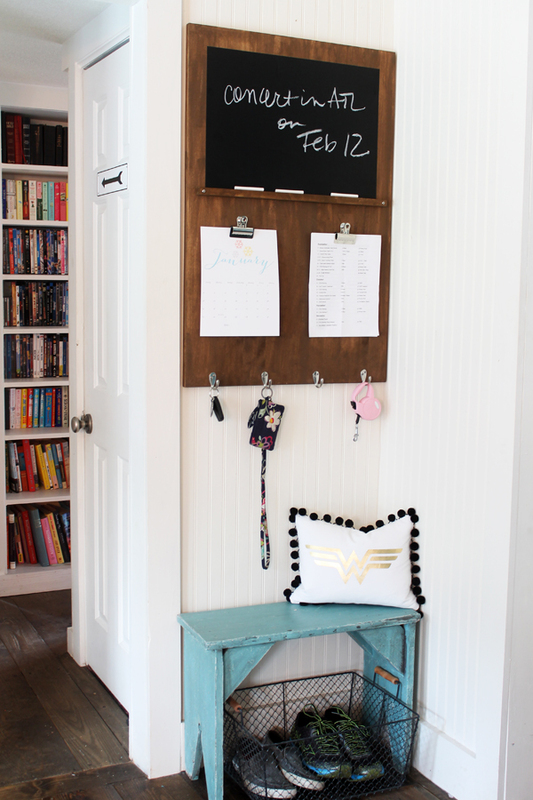 If your family is in need of a functional Entryway, complete with an effective Command Center, you’ll find loads of inspiration in this post. Then, go shopping, and start getting organized! 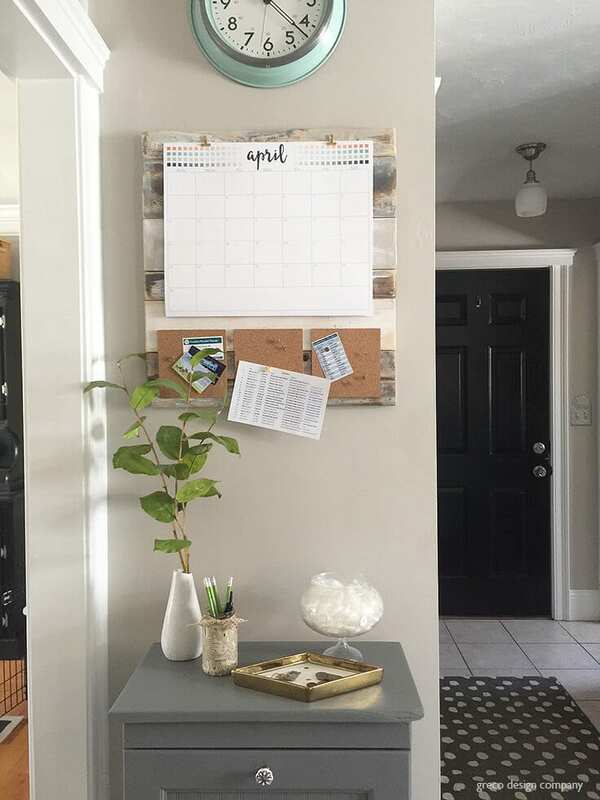 I’m Lora Green, of Craftivity Designs, and getting organized is something I’m passionate about… when a home is organized, it saves you time and sanity. 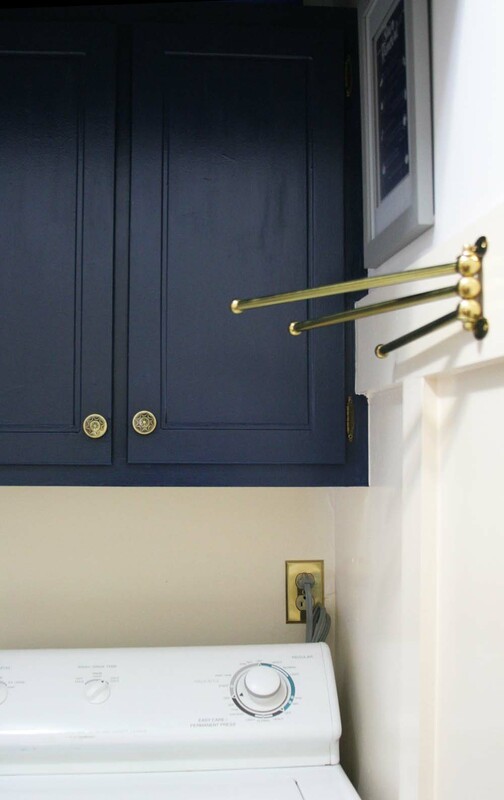 What if an organized Entryway meant you could save a few minutes each time you leave the house? Yes, please! 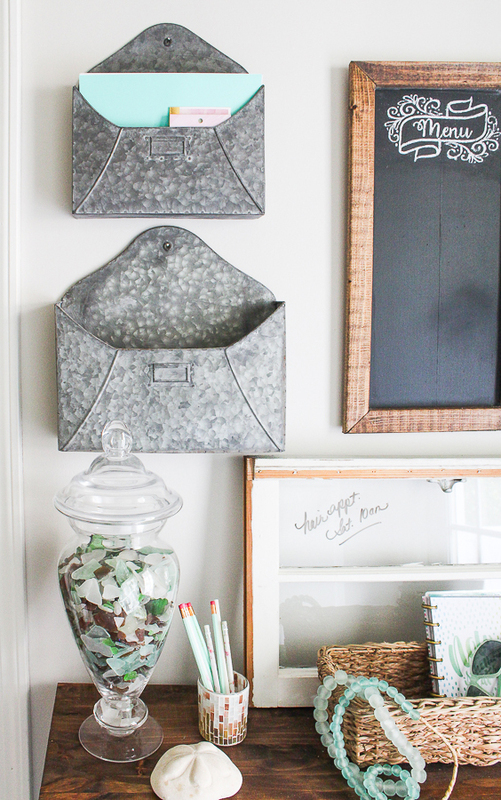 Sand Dollar Lane’s command center features industrial farmhouse style with galvanized mail holders and a chalkboard message board. Home with Keki collected galvanized message boards for a metal gallery wall. 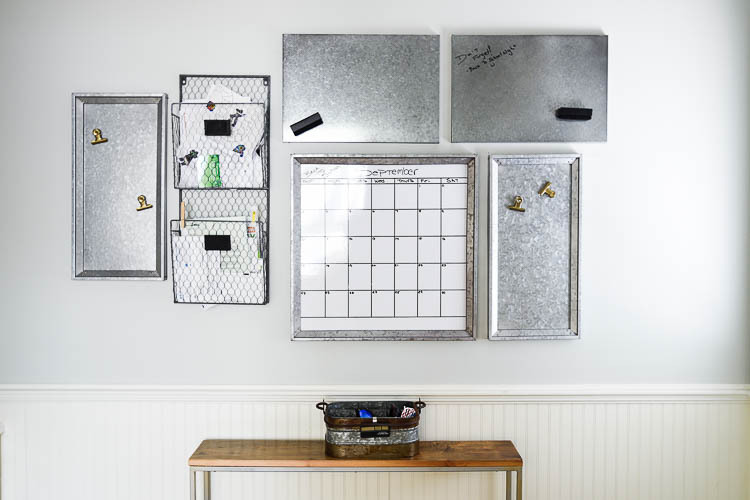 The focal point, a dry erase calendar with a galvanized frame fits right in, too. 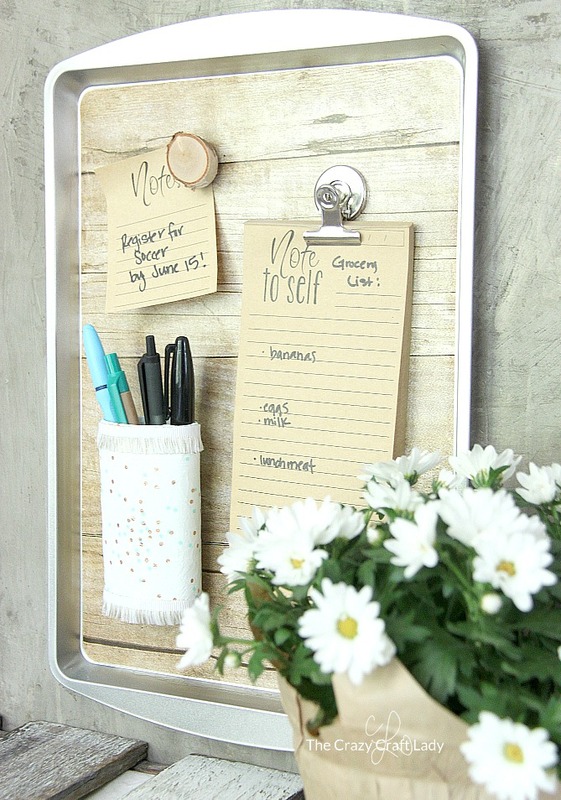 The Crazy Craft Lady shares an affordable trick to achieve a metallic or galvanized look for a DIY Magnetic Message Board. 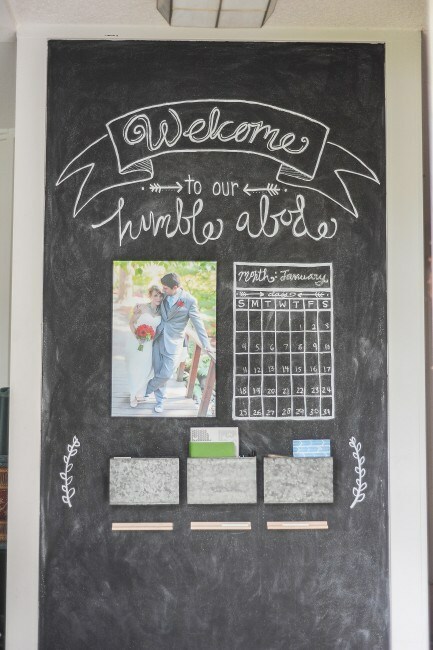 Make a statement in your entryway with a full wall chalkboard command center, like Dwell Beautiful did in her home. 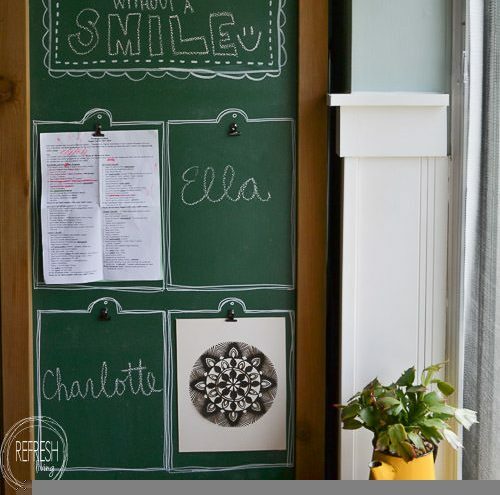 Houseful of Handmade’s chalkboard wall is both a backdrop for a command center and a spot to jot extra notes or messages. 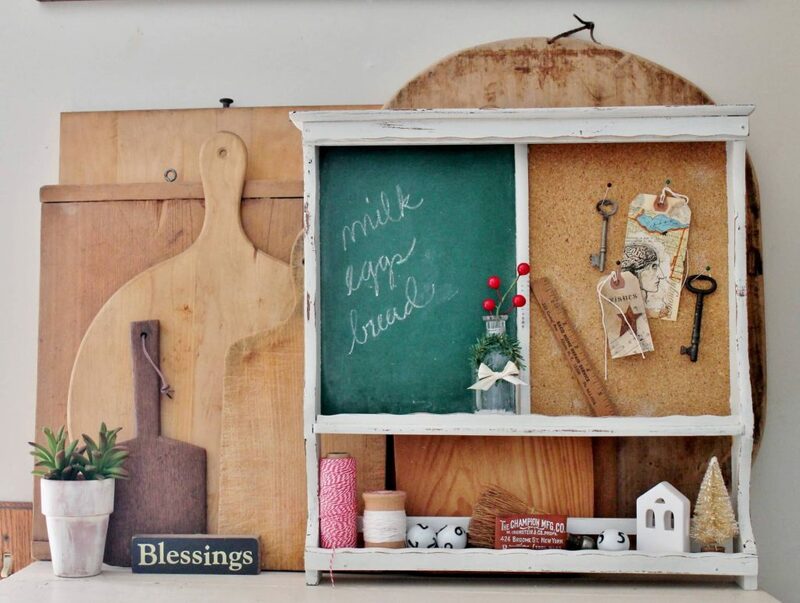 Refresh Living chose classic schoolhouse green chalkboard paint for her farmhouse style command center. Craftivity Designs (aka. 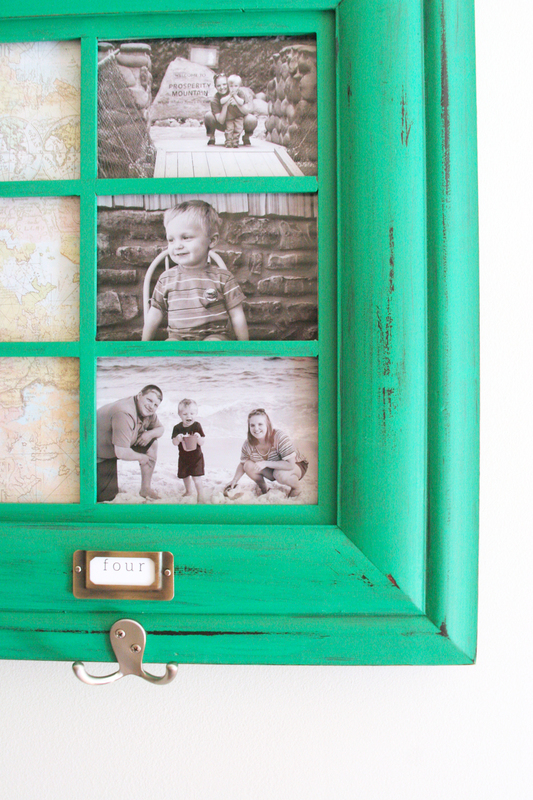 yours truly) shares how to turn a boring old collage frame into a spot for coats, bags, notes, and more! The Shabby Creek Cottage custom built a command center to fit her family’s needs. 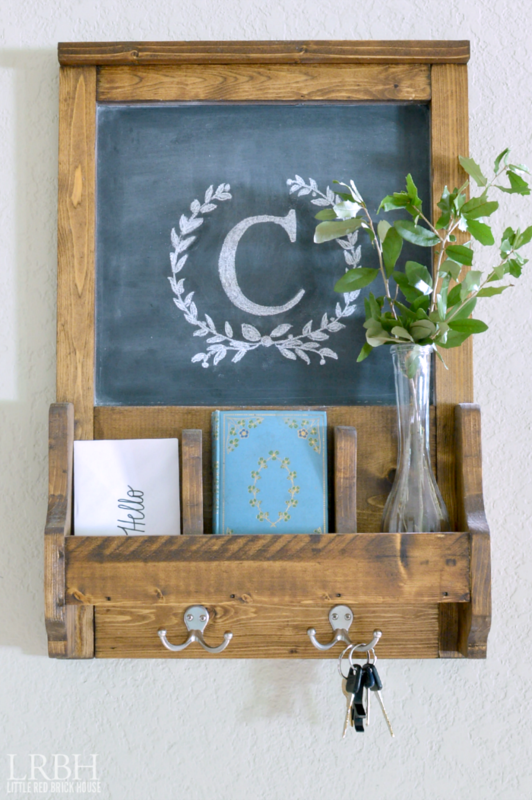 The Little Red Brick House also custom built a farmhouse-style command center, including functional mail slots, a chalkboard, and hooks. 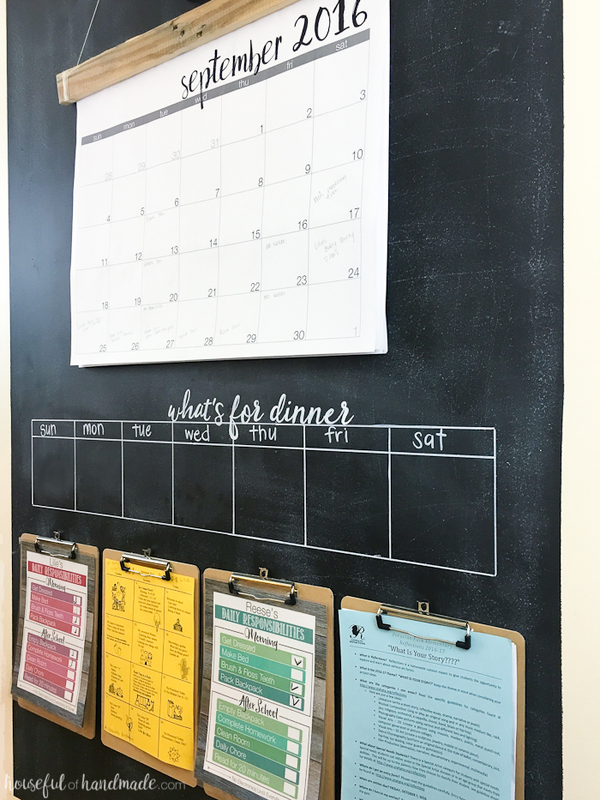 Old wall organizers are easily found at thrift stores, like this one that Adirondack Girl at Heart updated and turned into a small command center. Love shiplap? Greco Design Company is such a fan of this farmhouse classic, that she made it the backdrop for her calendar and message boards. Find the full tutorial at Kenarry. 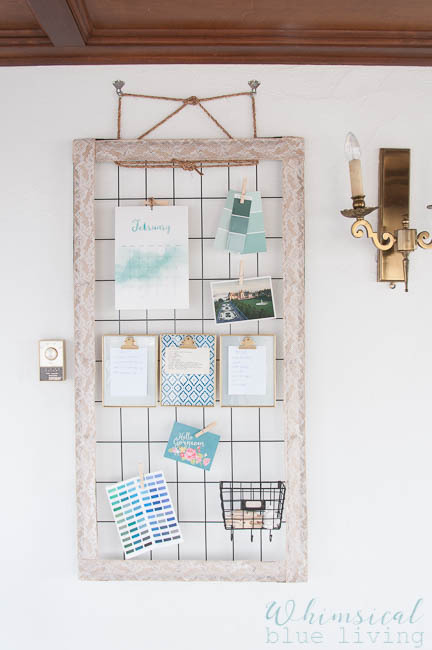 Wire grids are a great message board solution, like this one from Whimsical Blue Living. 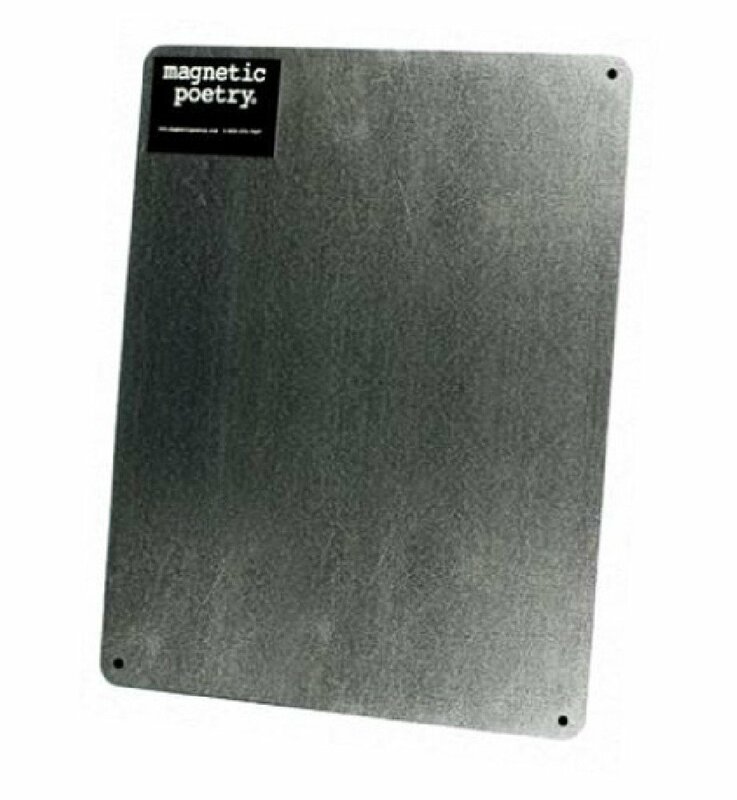 It provides plenty of spots to clip notes without the chalk mess, and it doesn’t wear over time like a bulletin board. AKA Design mixed practical wire baskets with wood frames for an industrial farmhouse entryway command center. Elizabeth Joan Designs’ command center is simple, modern, farmhouse-style with plenty of white and a touch of wood. 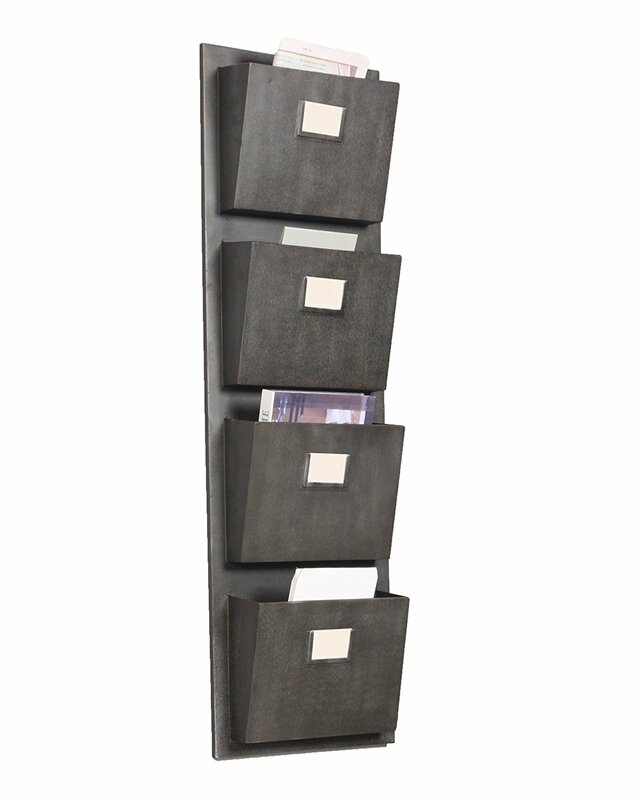 The mail sorter keeps plenty of paperwork organized for each family member, while only requiring a small slice of wall space. What should we learn from these 14+ farmhouse style entryways? First, command centers can blend in with the aesthetics of your home. Love farmhouse-style? 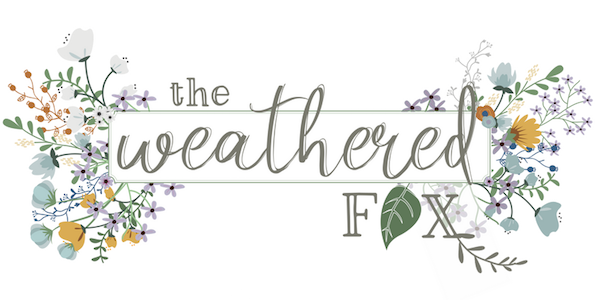 Incorporate naturals, rustic wood, and even shiplap, if you’d like! Love industrial elements? 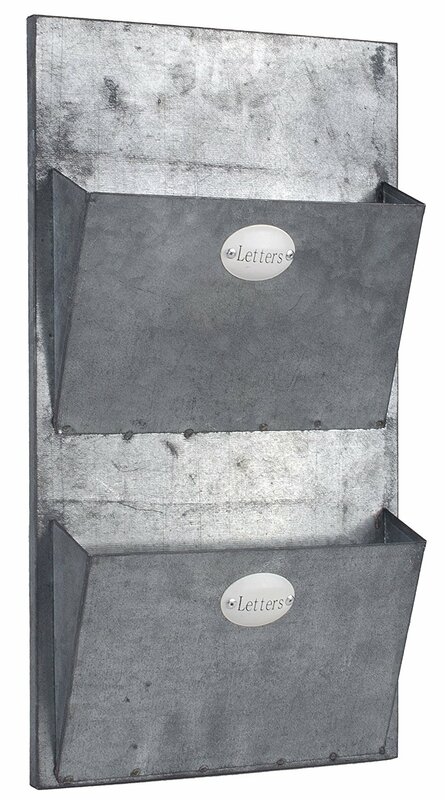 Pull in metals, whether galvanized or wire bins, into your entryway. Love modern farmhouse? Go simple with clean lines and plenty of white. Love vintage? Upcycle thrift finds for a functional and collected command center. 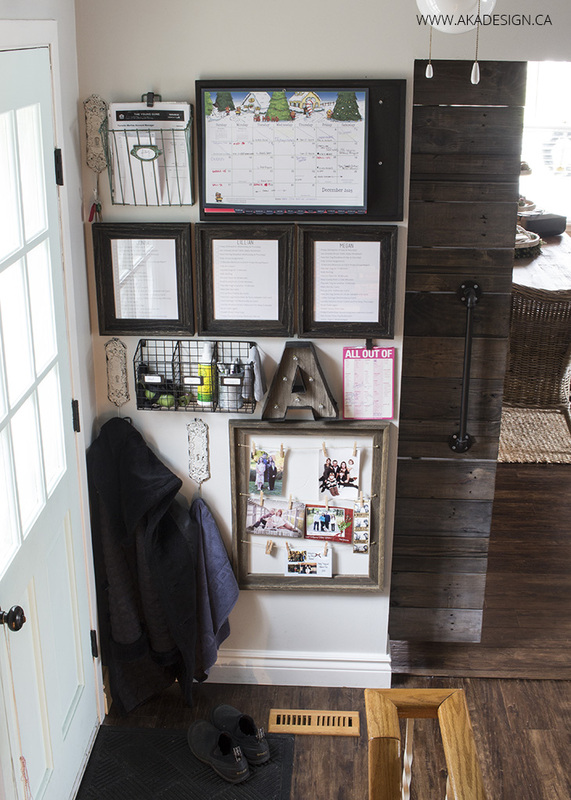 Second, take note from these inspiration photos — you don’t need a huge entryway to create a practical command center. Some of these ideas only require a couple feet of wall space to implement. 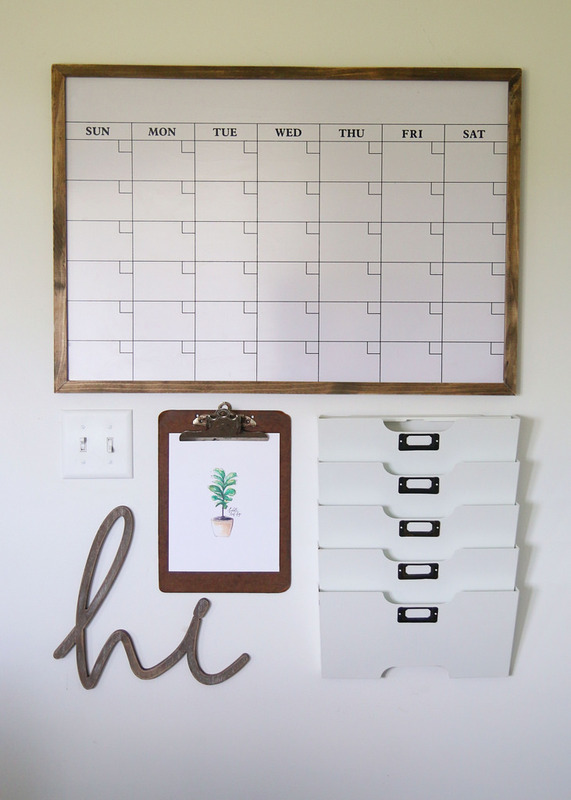 Ready to get organized? 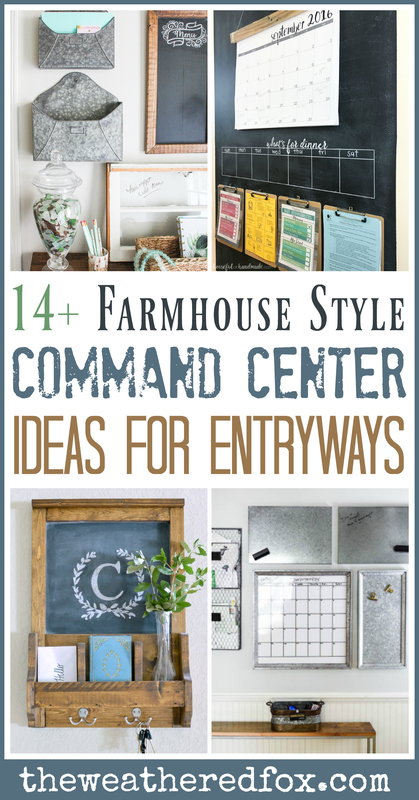 If you are in need of command center products, check out the entryway organization shopping guide for ideas. Then, get to work organizing your space! Would you like to see more organizing ideas? 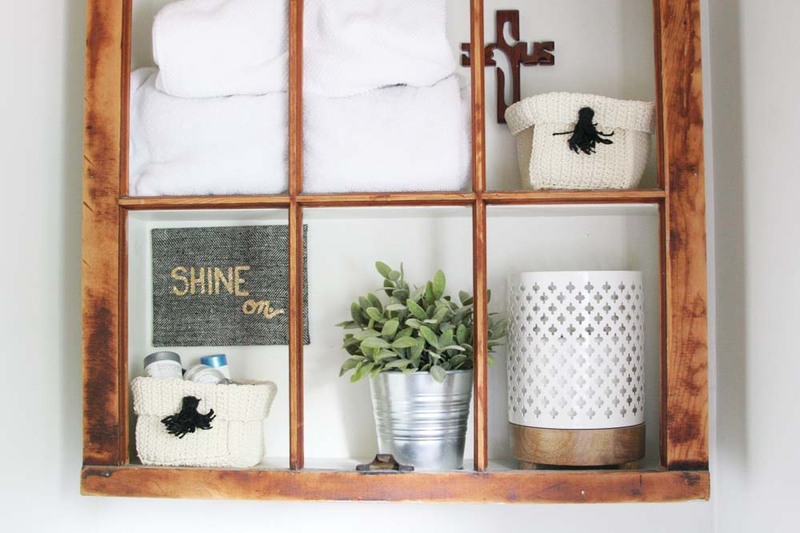 Check out my tips for organizing a Small Laundry Room and a Small Bathroom, or learn how to make a Command Center from an old picture frame.